Reduces hair fall due to breakage. A breakthrough 2-in-1 formula for all hair types, Himalaya Herbals Anti-Hair Fall Shampoo provides root nourishment and strengthens weakened hair. Our shampoo also conditions and improves hair texture to reduce hair fall due to breakage. For best results, also use Himalaya Herbals Anti-Hair Fall Cream. 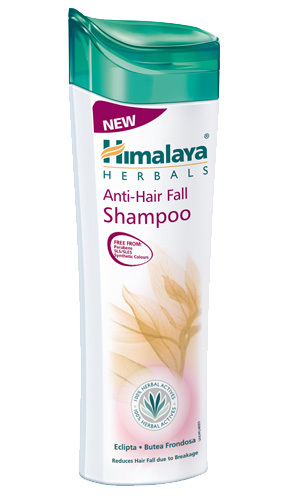 Gently massage Himalaya Herbals Anti-Hair Fall Shampoo into wet hair and scalp. Leave for 2–3 minutes and rinse thoroughly. Repeat if necessary.